SXS Wellness is a division of SXS Fitness and offers Naturopathic solutions to common health and wellness issues. We believe that a natural and holistic approach complemented with traditional science and medicine provides the best treatment and lifestyle choice for all our clients. The Wellness division is headed by Naturopathic candidate, Nadine Jackson. Nadine has been personal trainer for several years and specializes in Pilates, Spin, and CrossFit. How will this be different from any other Health Newsletter? SXS Wellness will be sending out newsletters each month with relevant information that we feel will help out all the SXS community. This will include anything from nutrition advice to healthy AND tasty recipes; to exercise programs; to vitamin and supplement input and anything else related to health and wellness. "How will this be different from any other Health Newsletter?" you may ask. There are plenty of people giving FREE advice on the internet but you generally get what you pay for. The SXS Wellness newsletter does the work for you by doing the research, vetting the content, and publishing only what we deem factual and will actually be useful to implement. Hopefully you will to. If you have any specific questions or requests we'd be happy to answer them and perhaps put it in an upcoming newsletter. Contact SXS Wellness at nadine@sxsfitness.ca. 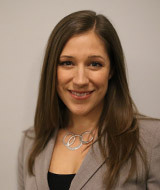 Dr. Nadine Jackson, ND is a graduate of the Canadian College of Naturopathic Medicine (CCNM). She is a member of the Ontario Association of Naturopathic Doctors and the Canadian Association of Naturopathic Doctors. Nadine has extensive personal experience in the world of fitness growing up as a competitive gymnast, then focusing on dance, yoga and pilates. She is certified as a pilates, spin and cross fit instructor as well as a personal trainer, a health & wellness specialist and a level two CAC gymnastics coach. During her clinical year Nadine was accepted to be a part of the Sports Medicine specialty shift that focused on sports nutrition and pre/rehabilitation for sport injuries. She also gained experience treating a variety of other health concerns from insomnia to digestive complaints. Nadine is passionate about health and fitness and hopes to share her knowledge with everyone in the SXS Fitness community.